This stunning modern two-level condo was designed by renowned architect Donald Wexler. 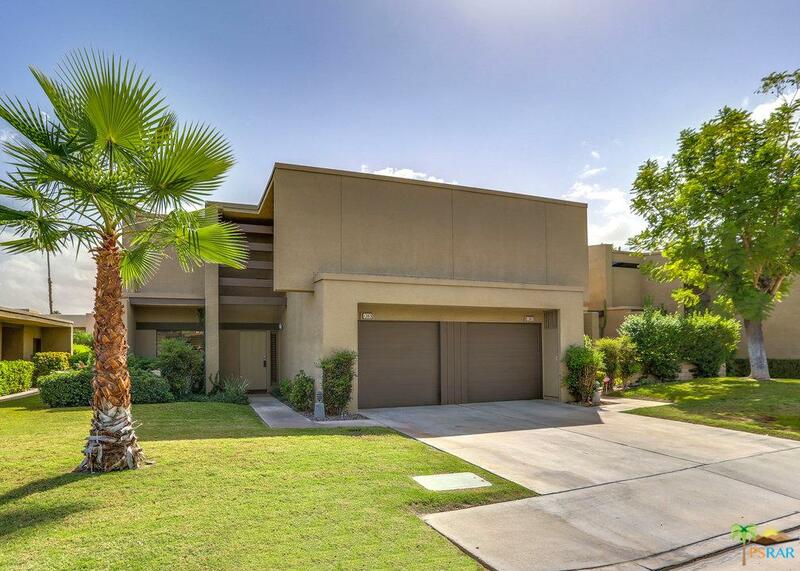 Currently owned by an architect, it is centrally located in Palm Springs close to downtown. Enter the foyer and immediately~see through to the large back garden and the views of the mountains beyond.~Sit in the living room and enjoy the fireplace, high ceilings and stylish, contemporary furnishings. Entertain from your new cook's kitchen, which has quartz countertops and stainless steel appliances and a large island adjoining the dining area.~There is a large and private~garden off the living room to relax and enjoy the sun setting over the mountains. Ascend the open cantilevered staircase on its walnut slabs treads, to the large Master Suite and its spacious bathroom and walk-in closet.~Two upstairs bedrooms also have balconies that enjoy awesome mountain views. There is an attached garage with laundry. This very unique unit in the Rose Garden is being sold furnished. No lease - you own the land!